Photography has become not only a hobby but a business for many individuals or photographers. Many people hire photographers during weddings, birthdays, parties, and other significant events in order to document and record memories. Aside from these events, photographers also offer services like modeling photo shoots, product shoots, and so on. 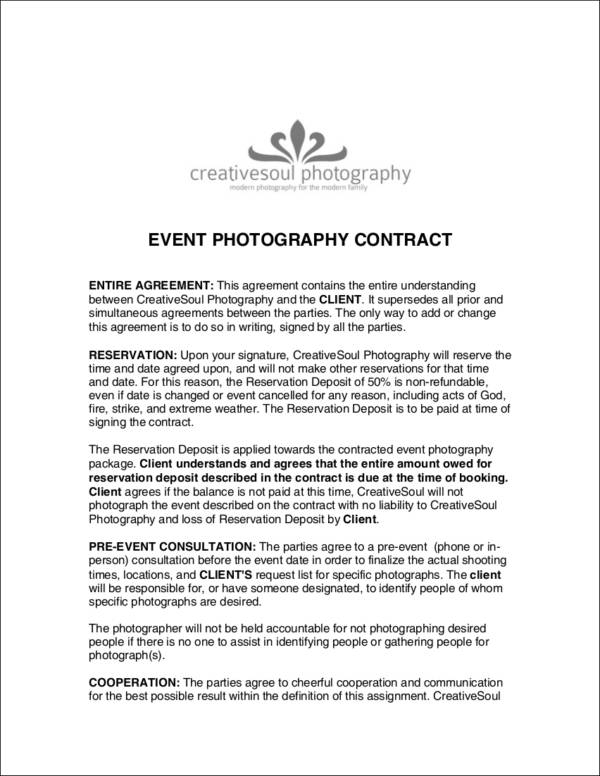 Since photographers deal with various clients on a daily basis, a photography contract is an essential document that every photographer should have, whether you are a freelance photographer or if you work as a photographer for a particular company or organization. 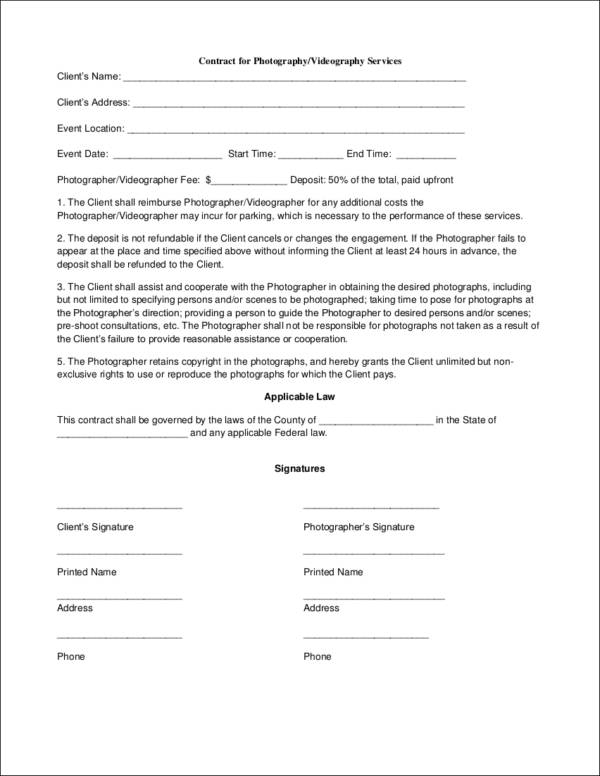 Before you start working with a client/s, it is important that you have an effective photography contract for both parties to sign to ensure that you are protected from any disagreement or misunderstanding. 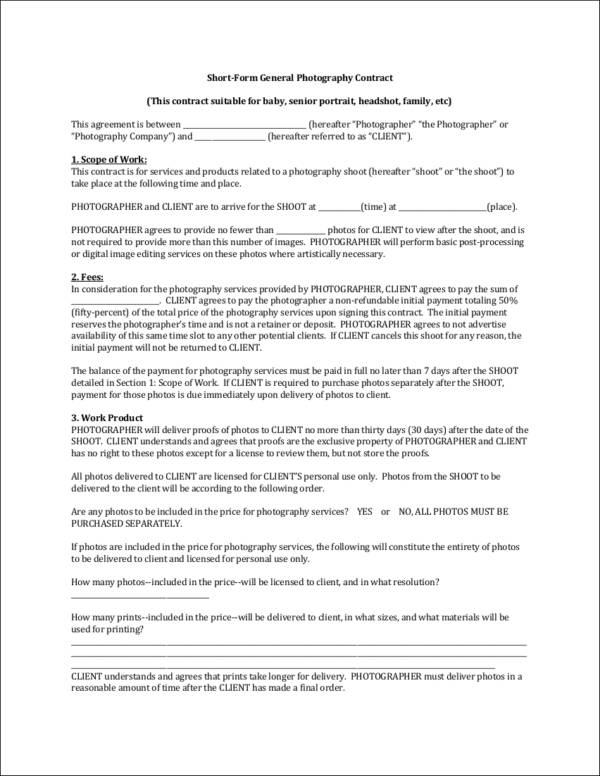 Are you using a photography contract when dealing with clients? 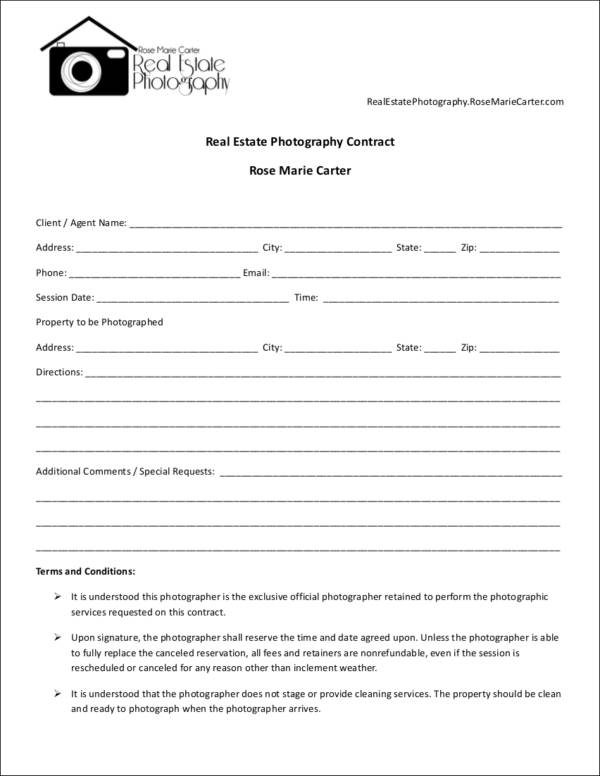 If you have not used a contract for your photography business, or if you are new to the business, then this article is for you! In this article, you will read about the importance of a photography contract, the terms that you need to include in your contract, and the steps to help you write your own contract. 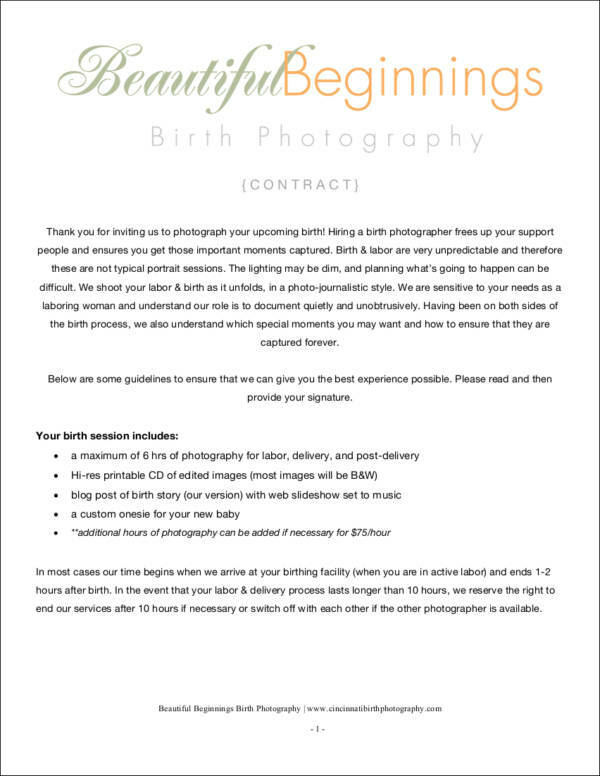 You will also find various types of photography services contracts in this article such as a wedding photography contract, event photography contract, birth photography contract, etc. 1. 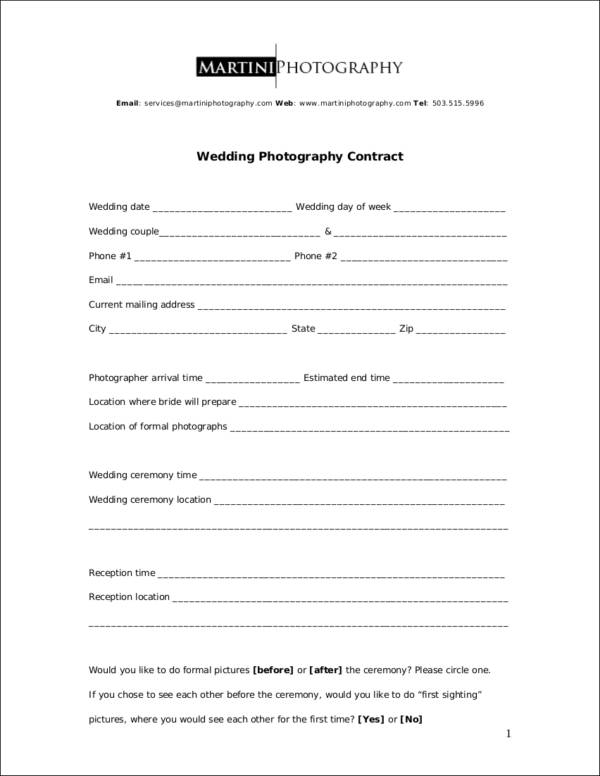 A photography contract provides a clear outline of what the client expects from the photographer. Being able to know these items can make a photographer more aware of what is expected from him/her. This can make the adjustment of his/her skills and other technical aspects of photography be easier. 2. 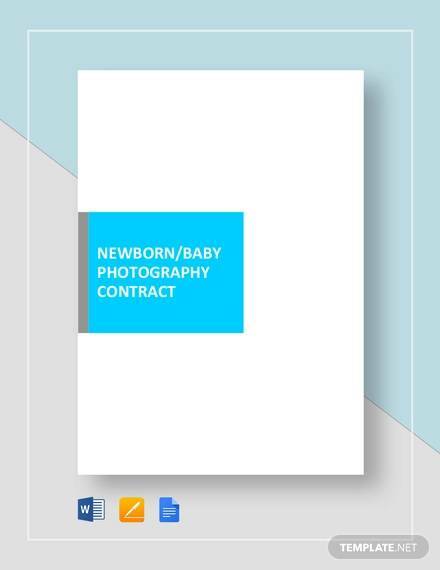 Having a photography contract makes the transaction more professional. If you are a client and you are going to pay for photography services, it is of utmost importance to assure that you get the value of the money that you are willing to pay for. The ability of the photographer to provide a contract makes the transaction more formal. 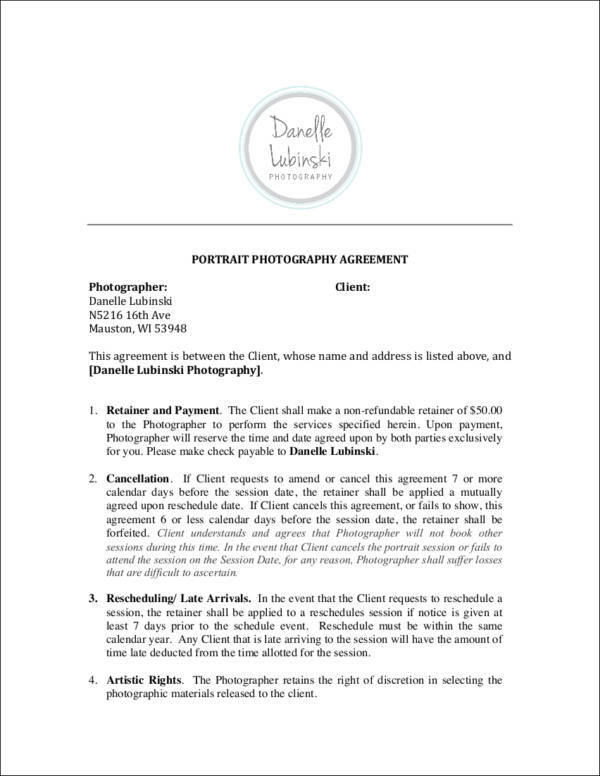 With this, having a written agreement makes it easier for clients to trust the photographer that they will hire. 3. It ensures that the client is aware of the payment terms and conditions as well as other obligations. Aside from the benefits that can be given by a photography contract to clients, it can also give a lot of advantages to the photographer. Having an agreed amount to be paid and the particular dates by which the payment is expected makes the transaction less of a hassle to the photographer with regards to collecting the money in exchange for his/her services. Being paid accordingly and properly makes a photographer’s work worth it. Also, it will help the photographer to have a smooth transaction that both starts and ends well. 4. It creates a healthier relationship between the photographer and the client. Starting a photography service given to a client can sometimes end up in a bad light especially if photographers cannot meet the expectations of the client. This can be resolved if only, in the beginning, the client is already aware of what the photographer can offer both as an artist and as a business. A healthier relationship can be achieved if these items are already stated, written, and agreed upon even before the actual date of shoot starts. 5. 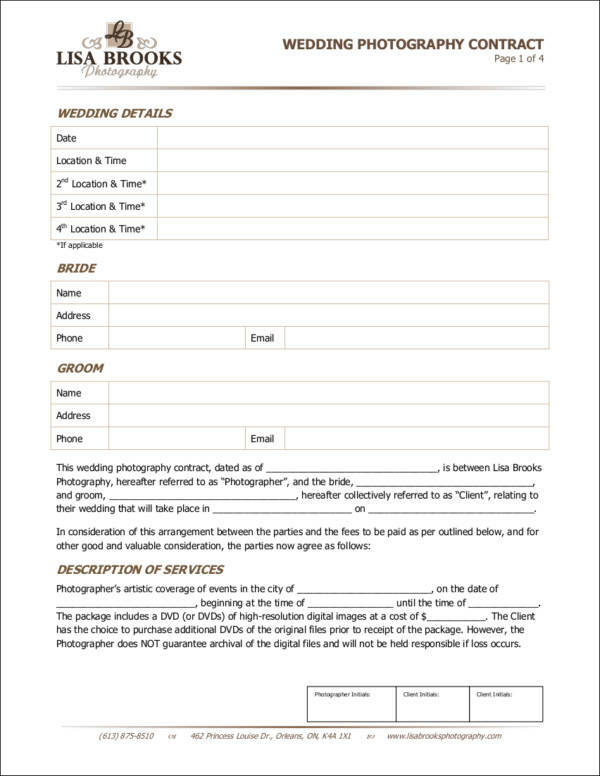 Photography contracts lay out all the items necessary for the date of the shoot. Contracts list down the validity and the effectiveness of all the items that the photographer and the client have agreed with. Hence, it is important for this kind of contract to properly and accordingly list down the information that should be followed within the entire process during the shoot date. As a binding agreement, contracts are organized in a way that it can showcase the specifics of the transaction, especially the kind of photography services that should be applied and given within the bounds of the agreement. 6. It allows the photographer to list his/her minimum responsibilities for the transaction. 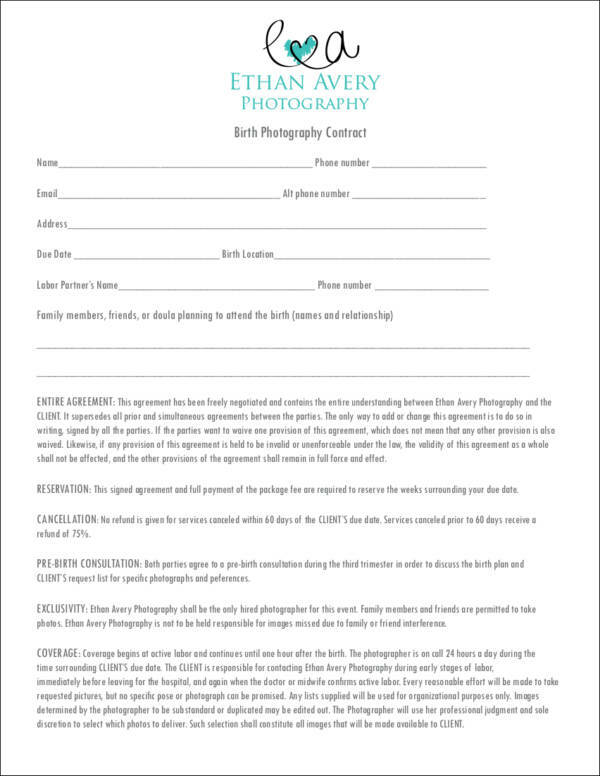 As mentioned above, photographers can also benefit from the usage of photography contracts. This can be very evident in situations where clients complain about the photographer not meeting the items in the promised agreement. If there is a written contract, photographers can ensure themselves that they are guided by the items that they need to fulfill based on what the client is initially willing to pay. 7. 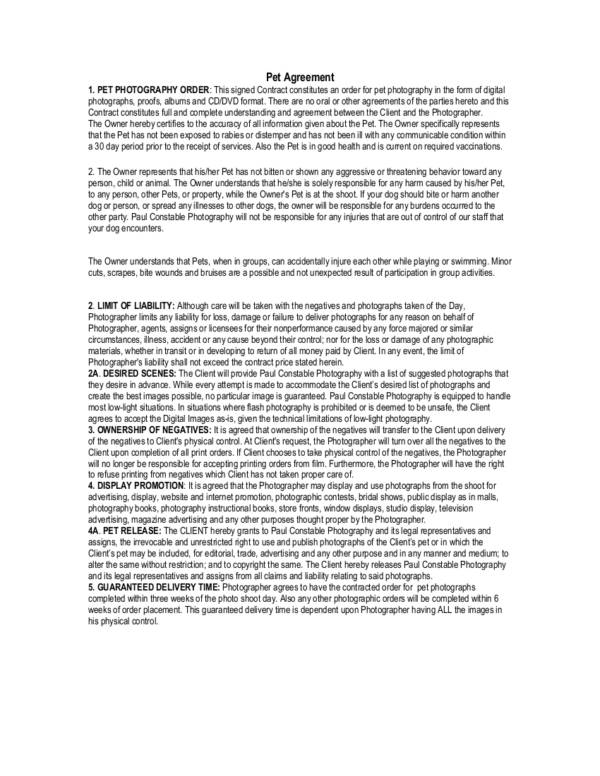 It contains the terms and conditions that should be honored within the entire photography service agreement. Aside from the services expected from the photographer, a contract should also include the details on how these services shall be given. It should follow a list of terms by which both parties should be aware of for all the items present in the document to be applied in reality. Always remember that if any of the conditions have not been met by any of the party, the other party within the transaction always has the right to ask, inquire, or even terminate the contract. 8. 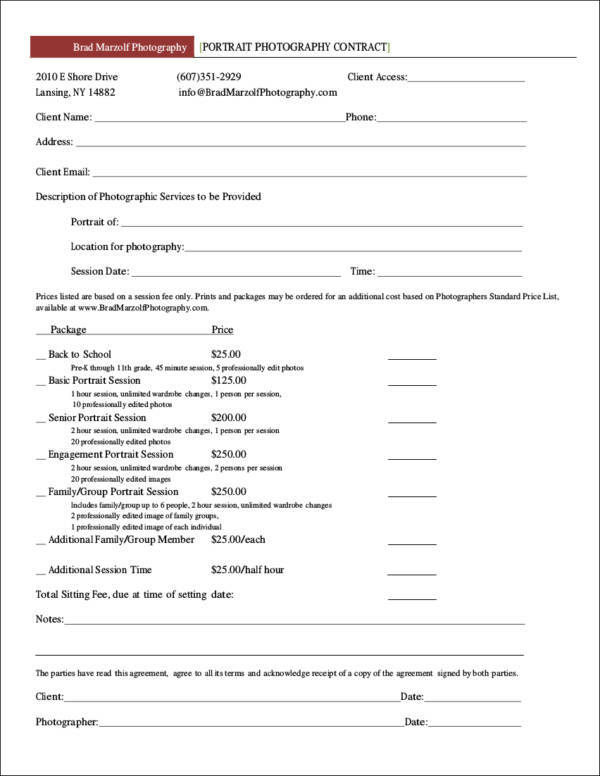 Photography contracts can be one of the documents that can strengthen the branding of the photographer as a professional. The way that a photography contract is made and presented can say a lot about the photographer to whom it is from. It is essential for photographers to make sure that the contract that they will present is well-structured, formatted accordingly, and is free from any grammatical errors. This way, clients will have an idea on how the photographer showcases end results to his/her clients. 9. It serves as a written agreement that can be used as proof should discrepancies and other unexpected issues arise. There are things that can happen within the duration of the agreement that may not be expected. 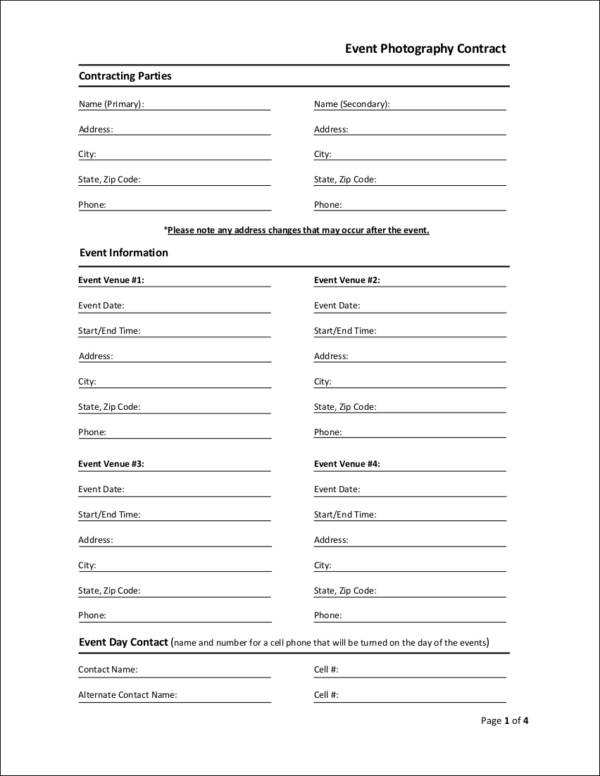 An example of this is when an event will not take place anymore but the client has already paid half of the price of the services for reservation. There are some contracts that can state that the initial payment cannot be reimbursed anymore. If the photographer has stated this and it has been agreed upon by the other end of the transaction, then, by all means, he/she has the right to not give the money back. A lot of instances like this may happen, which is why it is important for written photography contracts to be used. 10. It helps the parties be protected with regards to the items that have been agreed upon. 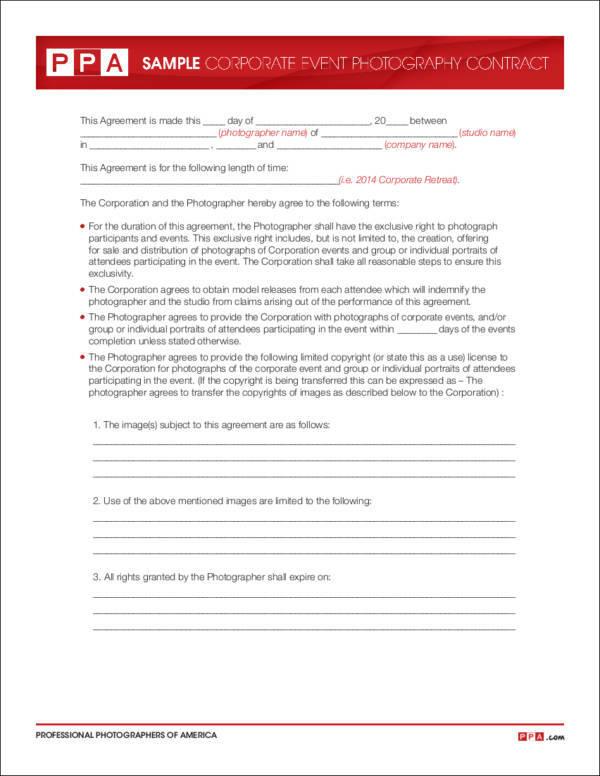 A photography contract can only be binding of the agreement form has been signed by both parties. Again, it is not only the clients that are protected by the contract. Photographers are protected as well with regards to their rights as a business and as a service provider. Hence, the knowledge of the two parties about the efficiency and effectiveness of a photography contract can pave the road for a secured transaction and repeat business. What Should Be in a Photography Contract? A contract may be hard to make because of the technical issues that should be addressed. However, do not be too overwhelmed when writing one as being able to identify the items that you need to present in the document can actually make it easier for you to create a comprehensive and effective photography contract. The date and time when the services of the photographer are needed. This can also include the time duration where the photographer is expected to render his/her services for the clients. The location of the event or the photo shoot. Always include the exact address when specifying the location as location changes during the last minute can actually be grounds for the contract price to change as well. This will depend on the agreement of the photographer and the client about this matter. The complete list of the services that the client expects to get from the photographer. 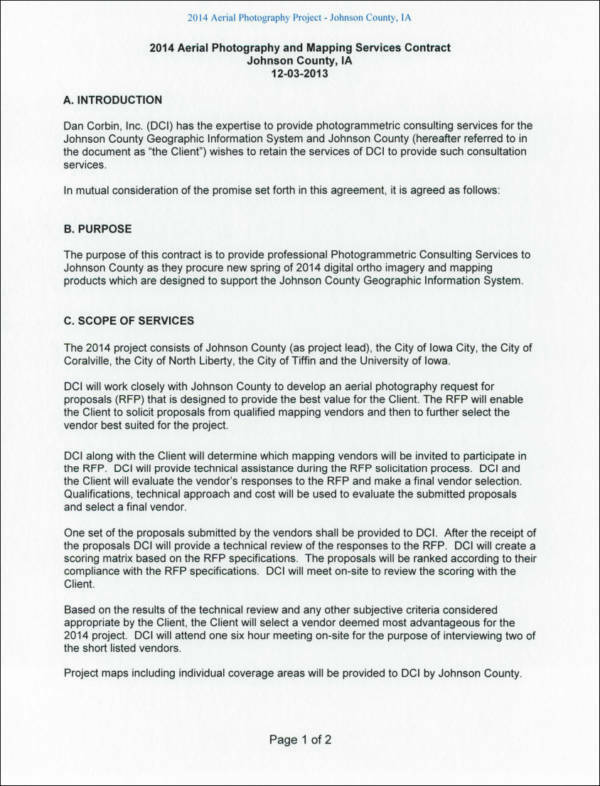 This clause of the contract may include the acquisition of raw and/or post-processed shots, the number of photographs that the photographer needs to provide, and the additional services and/or products offers that a client would like to have. It is usually in the discussion of the payment terms and conditions as well as the final amount that should be paid by the client in which a more serious and well-seated exchange of information takes place. For one, the photographer needs to justify on why he/she decided to charge the particular amount. Second, the client needs to be aware of the due dates of the payment and the kind of payment terms that he/she will be subjected into. The deposit policy and the payment schemes depend on the photographer. More so, the requests of clients with regards to this matter may also be considered. The approval of the two parties through their signatures will signify that the amount of the photography services has already been finalized. In a photography contract, it is important to state the instances that can allow refunds to be possible. In the field of photography, especially those that are related to events, there are a lot of unexpected things that can be experienced both by the photographer and the client. 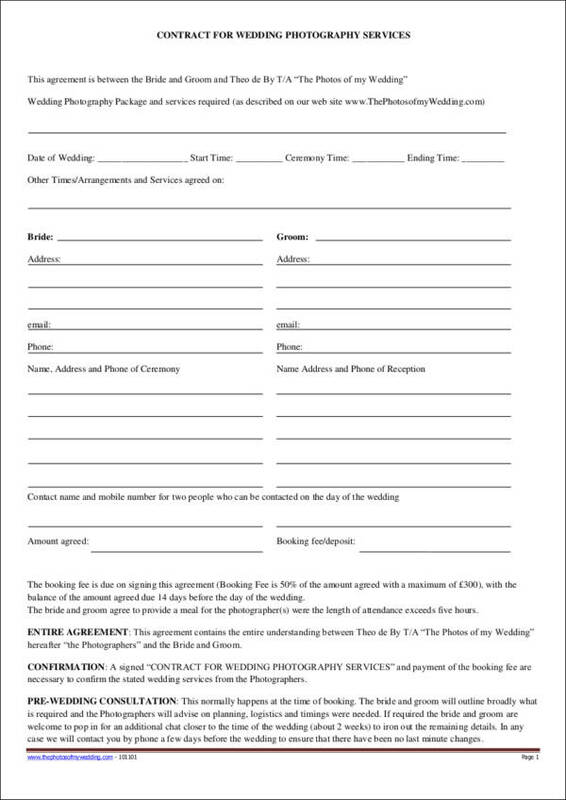 The parties should be ready with this especially if initial payment has already been read. Stipulating this in the contract can make the transaction of refund more professional and appropriate. Though a photographer can offer a lot to clients, a photography contract should properly specify the inclusions of the photography package that the client has acquired. 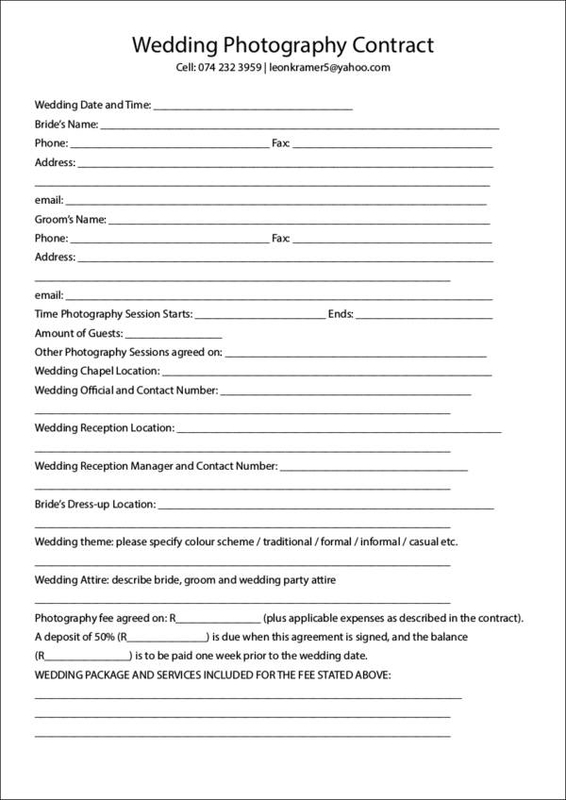 This should include a statement that any additional photography services and special requests during the date of the shoot should be an added cost. Some of these services include longer hours of photography works, additional shots needed by the client, or even an extension of the number of photographers that a customer wants to hire. The main service that a photographer needs to give is to be able to shoot and capture images during the day where he/she is needed. This means that the shoot location permit, photography rules, and other details that are already out of hand of the photographer should be taken cared of by the client unless otherwise stated. With this, a list of the duties of the clients is essential to be placed in the photography contract to protect the photographer. There are some instances where a photographer would like to request for exclusivity in terms of covering an event or an occasion. This can also be the other way around as there are some companies who would like a photographer to work just with them for some specific events where competitors are most likely to hire a photographer in the same nature. Copyright issues are important to be presented in the contract as following and honoring copyright law is essential to be able to protect the works of the photographer. It depends on the photographer whether he/she will issue statements regarding this matter. More so, it will also depend on the experience of the photographer and the kind of agreement that he/she has made with his/her clients. There are some photographers who do not like it when their watermarks are removed in photos while there are also some who allow clients to use the images that they have taken as long as proper credits are given. The blocks or spaces where the signature of the client and the photographer is an integral part of the photography contract. Having the signatures of these parties only makes the agreement binding. More so, it ensures both parties that they have agreed upon on the information that is available on the document. 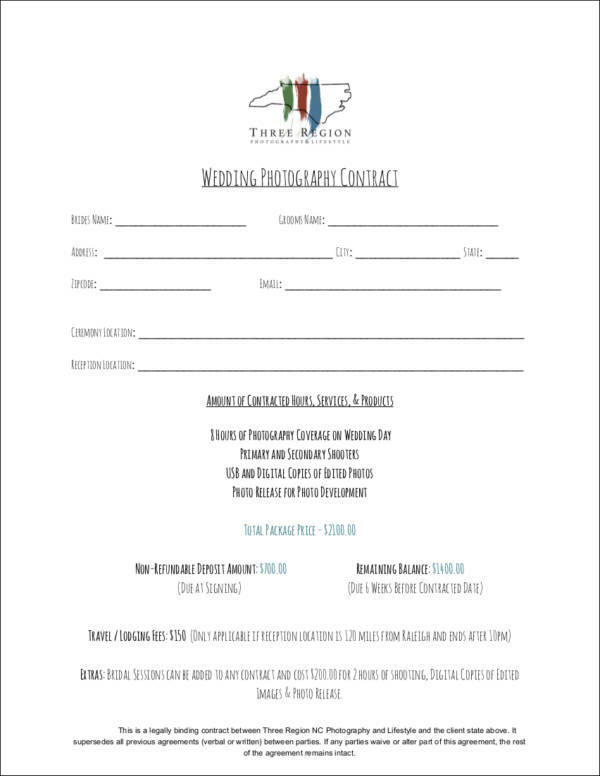 Other information may be added in a photographer contract depending on the kind of transaction that a client and a photographer will immerse them into. More so, this will depend on the nature of the photography works that should be executed and the kind of event or occasion that a photographer will cover. 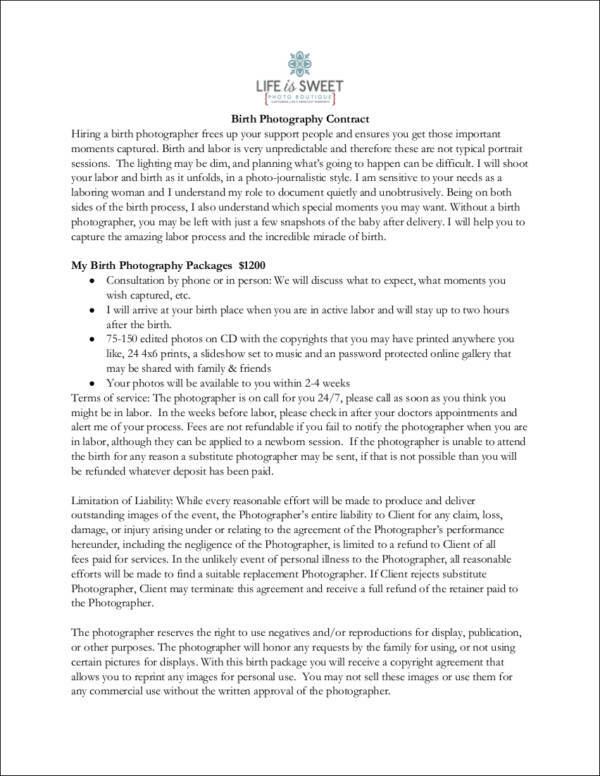 When creating a contract for your photography business, it is necessary for it to be accurate in order for you to have an effective document that you can provide to your clients. To help you create a well-made photography contract, we have provided you with some useful tips below that you can follow. 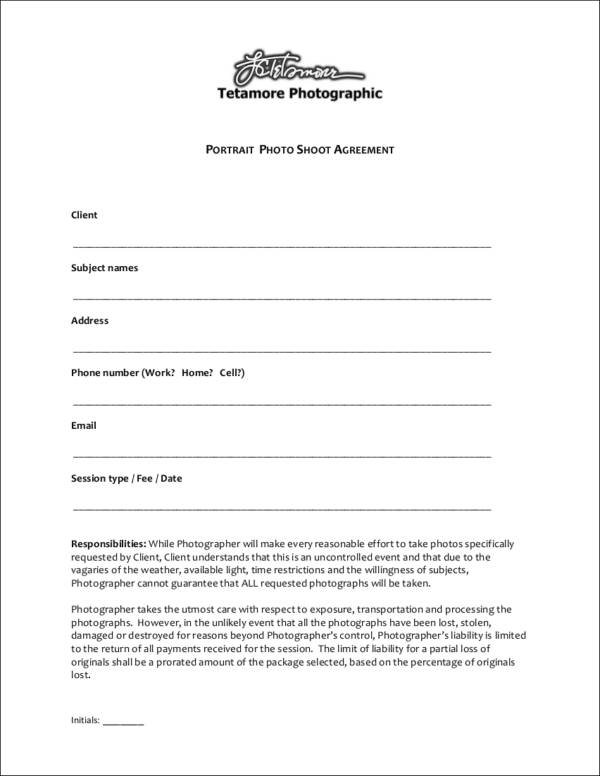 Before you create your contract, ensure that you have downloaded a photography contract template. A template will provide you with an outline allowing you to properly format your contract. 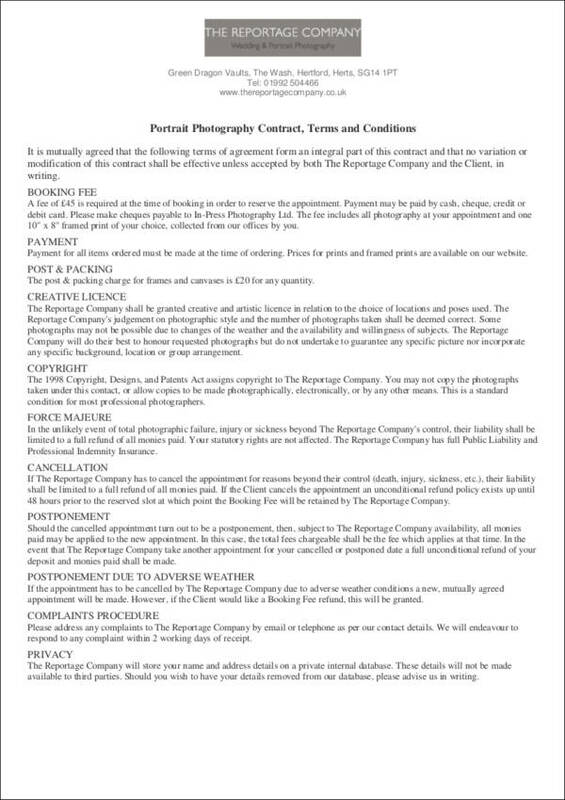 Always remember to proofread your photography contract to ensure that it is free from any typographical and grammatical errors, misspellings, and other mistakes that you will inevitably make. 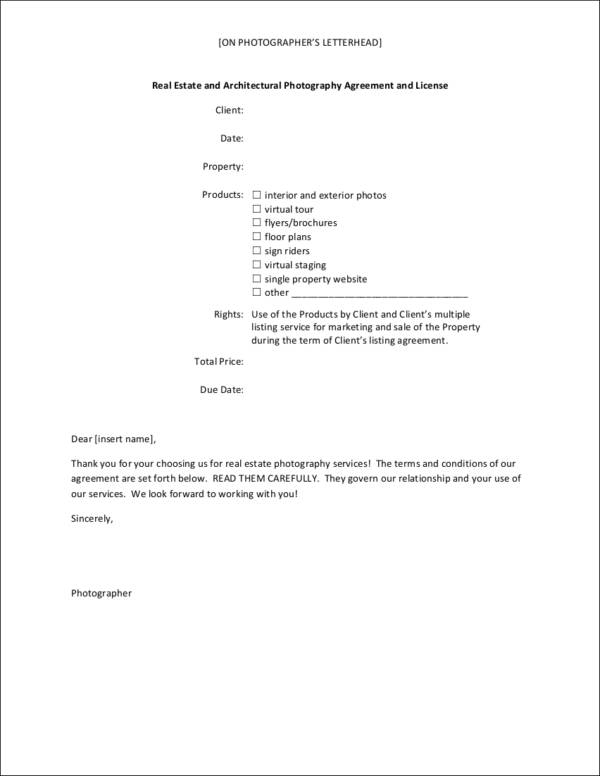 Speaking of proofreading your contract, remember to check the terms and conditions written in your contract since it is a critical aspect of the photography contract that you are creating. Having flawed terms and clauses will only lead to more confusion and disputes, and the contract will lose its purpose. Clearly state the names and other relevant information of both the client and the photographer to indicate the parties involved in the agreement. Additionally, other than the photography contracts we have available in this article, we also have other types of contract templates such as a land contract template, videography contract template, employment contract template, etc., that you can download on our website.